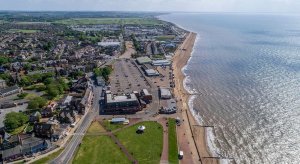 Hunstanton was yesterday awarded Gold in the Coastal category and was declared the overall winner in the Coastal category. This is recognition richly deserved by everyone who has helped the town look so beautiful this year and special thanks must go to Chris Durham and his team. On 16 August, the Mayor was delighted to attend the presentation of a state-of-the-art beach wheelchair to West Norfolk Mencap. 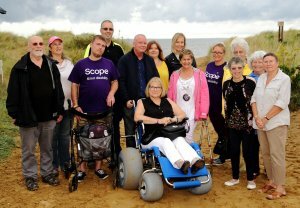 The new wheelchair was donated by Scope (a charity that works with people with cerebral palsy) and will be available for groups who make use of the Mencap beach hut at Old Hunstanton, enabling users to get on to the beach and even into the sea. 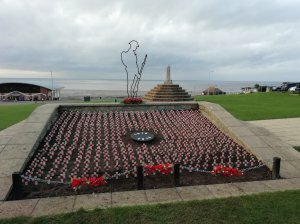 Watch this space for a full listing of Christmas events planned in Hunstanton throughout the whole of December 2018.